Train, Metro, Subway, Tube is a type of high-capacity public transport systems generally found in urban areas. These transport networks help people around the world get from one place to another place quickly, safely and without pay to park for vehicles. 1.35 billion people ride the tube annually in London, UK. The Mass Transit Railway is a major public transport network serving Hong Kong. Operated by the MTR Corporation Limited (MTRCL), it consists of heavy rail, light rail, and feeder bus service centered on an 11-line rapid transit network serving the urbanized areas of Hong Kong Island, Kowloon, and the New Territories. The system currently includes 218.2 km (135.6 mi) of rail with 159 stations, including 91 heavy rail stations and 68 light rail stops. The MTR is one of the most profitable metro systems in the world; it had a farebox recovery ratio of 187 percent in 2015, the world’s highest. It’s difficult to dispute that Hong Kong’s Mass Transit Railway deserves this number one spot. To start, it’s just 30 years old meaning it’s wonderfully modern with Wi-Fi, automated ticket systems and intelligent sensors that inform train times. And, because it’s so new, it’s been thoughtfully laid out to move people from every corner of this densely populated city around efficiently. The London Underground is a public rapid transit system serving London, England and some parts of the adjacent counties of Buckinghamshire, Essex, and Hertfordshire in the United Kingdom. The Underground has its origins in the Metropolitan Railway, the world’s first underground passenger railway. Opened in January 1863, it is now part of the Circle, Hammersmith & City and Metropolitan lines; the first line to operate underground electric traction trains, the City & South London Railway in 1890, is now part of the Northern line. The network has expanded to 11 lines, and in 2017/18 carried 1.357 billion. This 150-year-old underground system was the world’s first, opening back in 1863. But, just because it has a few years on Hong Kong’s MTR, doesn’t mean it doesn’t have some of the same modern conveniences. Now equipped with air-conditioned, and many stations are set-up with WiFi. The ticket system is replaced with Contactless card payments and the network stretches beyond London to Essex and Buckinghamshire as well. The Tokyo subway is a part of the extensive rapid transit system that consists of the Tokyo Metro and Toei Subway in the Greater Tokyo area of Japan. While the subway system itself is largely within the city center, the lines extend far out via extensive through services onto suburban railway lines. 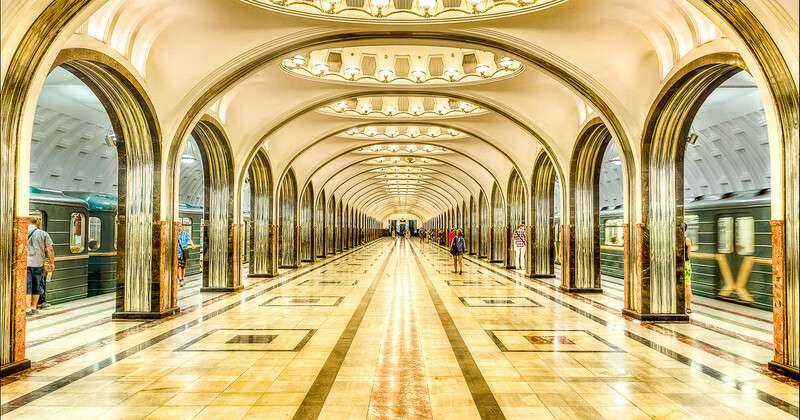 The Moscow Metro is a rapid transit system serving Moscow, Russia and the neighboring Moscow Oblast cities of Krasnogorsk, Reutov, Lyubertsy, and Kotelniki. Opened in 1935 with one 11-kilometer (6.8 mi) line and 13 stations, it was the first underground railway system in the Soviet Union. As of 2018, the Moscow Metro excluding the Moscow Central Circle and Moscow Monorail has 224 stations (255 with Moscow Central Circle) and its route length is 381 km (237 mi) making it the fifth longest in the world. The system is mostly underground, with the deepest section 84 meters (276 ft) underground at the Park Pobedy station, one of the world’s deepest. It’s the busiest metro system in Europe, and a tourist attraction in itself. 5. Seoul Metropolitan Subway, South Korea. Although the Seoul metropolitan subway is even more modern than Japan’s, equipped with luxuries like heated seats that aren’t even found in most cars. And, with over 1 million passengers daily, a lot of people are getting to enjoy the perks. The Mass Rapid Transit (MRT) is a rapid transit system forming the major component of the railway system in Singapore, spanning most of the city-state. The earliest section of the MRT, between Toa Payoh and Yio Chu Kang, opened on 7 November 1987. The network has since grown rapidly in accordance with Singapore’s aim of developing a comprehensive rail network as the backbone of the public transport system in Singapore, with an average daily ridership of 3.501 million in 2018 (including the Light Rail Transit (LRT)), approximately 87% of the bus network’s 4.037 million in the same period. It is one of the most environmentally friendly, sustainable, clean and efficient systems in the world. And, according to a McKinsey report from 2018, it’s also among the safest, most convenient and affordable systems. 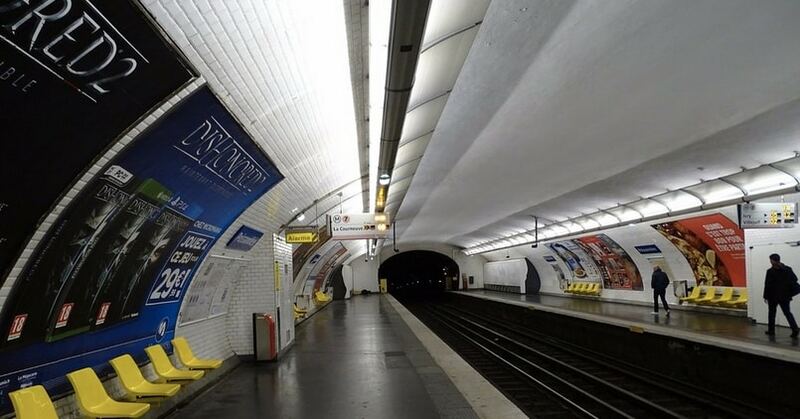 The Paris Métro is a rapid transit system in the Paris metropolitan area, France. A symbol of the city, it is known for its density within the city limits, uniform architecture and unique entrances influenced by Art Nouveau. It is mostly underground and 214 kilometers. It has 302 stations of which 62 have transfers between lines. There are 16 lines, numbered 1 to 14 with two lines, 3bis and 7bis, which are named because they started out like branches of lines 3 and 7; later they officially became separate lines, but the Metro is still numbered as if these lines were absent. Lines are identified on maps by number and color, and direction of travel is indicated by the terminus. Made up of 210 kilometers of track, the Paris Metro is crammed within just 87 square kilometers of the city and is still – somehow – one of the busiest train systems in the world. what makes Paris Metro charming and undeniably Parisian is also what brings it closer to the bottom of this list. It lacks modern conveniences, and we don’t mean heated seats like in Seoul. Many marriages don’t even have automatically closing doors, meaning efficiency is lacking and an upgrade is possibly in order. The New York City Subway is a rapid transit system owned by the City of New York and leased to the New York City Transit Authority a subsidiary agency of the state-run Metropolitan Transportation Authority (MTA). Opened in 1904, the New York City Subway is one of the world’s oldest public transit systems, one of the world’s most used metro systems, and the metro system with the most stations. It offers service 24 hours per day on every day of the year, though some routes may operate only part-time. Yes! New York City’s subway is dirty, noisy and outdated. But do you know it runs 24 hours a day, seven days a week, 365 days a year? No wonder NYC is affectionately known as the city that never sleeps! The Stockholm Underground is a rapid transit system in the capital city of Sweden. The first line opened in 1950, and today the system has 100 stations in use of which 47 are underground and 53 above ground. There are three colored main lines on the tube maps. These do however form seven actual routes, Routes number 17, 18 and 19 (belonging to the green mainline), 13 and 14 (red mainline) and 10 and 11 (blue mainline) all go through Stockholm City Centre in a very centralized metro system. All seven actual lines use The T-Centralen hub station. Apart from this central station for the metro, there exists just one other junction, the Fridhemsplan station, although both the gree and red lines are mutually accessible at the Slussen and Gamla Stan stations. the Stockholm tunnel rail made it on this list in part because of its beautiful stations which resemble cliffs and caves more than a transport hub underground like Moscow’s metro. The stations on there own represent an opportunity to explore the city’s culture and history. The Athens Metro is a rapid-transit system in Greece which serves the Athens conurbation and parts of East Attica. It incorporates the former Athens-Piraeus Electric Railways (ISAP), which opened like a conventional steam railway in 1869, was electrified in 1904 and is now part of Line 1. Beginning in 1991, Attiko Metro constructed and extended Lines 2 and 3. and the Attiko Metro Operations Company (AMEL) operated these lines from 2000 to 2011. It is literally a museum. In digging up the rail lines for the metro across the ancient city, thousands of artifacts were uncovered and now, are proudly displayed for visitors and passengers to marvel at as they travel through. With all the modern amenities, ancient artifacts and vast networks, these ten metro systems stand out amongst the almost 200 that are operating in cities around the world. A great article! However, we are amazed that Shanghai, Beijing and Delhi were not included! Osaka and Berlin also would have a claim. To be very frank Mr. Charles, The criteria of the selection is broad and it was very tuff to rank the metro projects from around the world.